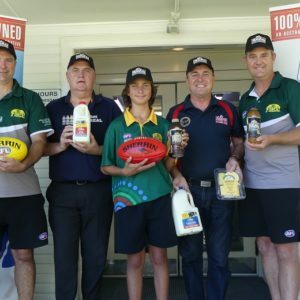 Round 9 of the AFL North Coast Senior Competition saw close results in all three of the main matches. 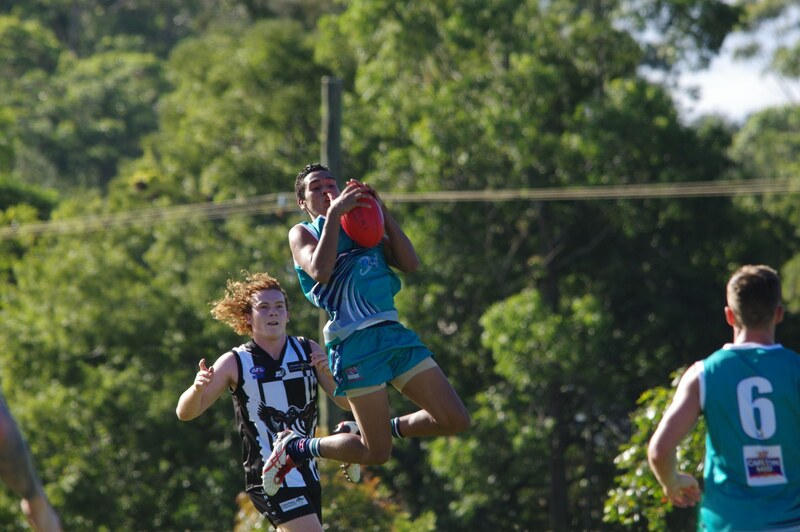 In the battle of second against third it was the higher rated Coffs Harbour Breakers that claimed victory over home team Port Macquarie Magpies. The win sees the Breakers go one match clear of Port on the ladder and open up a small amount of breathing space, whilst Port will see the result as an opportunity lost. The final margin of 22 points was a near carbon copy of the 19 point lead that the Breakers held at the first break. Port whittled away at this in the next two quarters to see the gap reduce to 15 at the main break and 13 at the last change. It was looking as though a grandstand finish was the order of the day but Breakers stepped up to claim the final quarter by nine points to record a win and ease some of the pressure on the team. Nick Stanlan-Velt again led the line with five goals for the Breakers, and got great support from the returning Close brothers, Royce with four goals and Shaydan with three. For the Magpies, Jesse Schmidt proved to be a reliable avenue to goal with four majors, with Riley Irwin kicking three, Kye Taylor, Sam Johnson, and debutant Ed Smith kicking two apiece. Earlier in the day the same two clubs played out an enthralling contest in the Women’s match. The opening quarter was fiercely contested with scoring chances at an absolute premium. Defensive pressure was the key for both teams with the Magpies going to the first break leading by two behinds to no score. Both teams kicked one goal in each of the next two quarters to see Port go to the last break with just a one goal lead. The turning point came just before the break when key Breakers defender Grace Crawley went down with what turned out to be a broken arm and this impacted not only on the Breakers defensive structure but also limited their rebound. Port kicked away in the last quarter to win by 32 points after holding the Breakers scoreless. Lauren Beasley had her most profitable day in the Women’s competition, bagging three goals, with Fiona Bagley, Anisha Burnes, and Katelyn Fuller each booting one. Breakers are definitely a team on the improve and are now capable of testing the other teams in the competition. Goals were kicked by Allissa Tate and Amy Johanson in a positive sign that the younger players are going to be able to step up and cover those that are missing due to long term injuries. 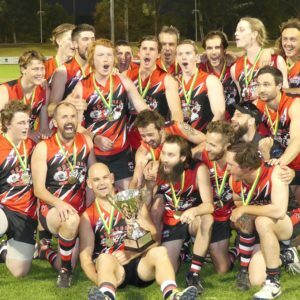 At Richardson Park, Sawtell Toormina Saints claimed the spoils over the Grafton Tigers but were made to work extremely hard to keep their pride intact. At half time the Saints led by just four points and an upset was a possibility but a third quarter blitz saw the Saints kick five goals against the Tigers one to extend the lead to 30 points and the Tigers weren’t able to rein the deficit back in. Hamish Bird was influential through the Saints midfield, with Dylan Darby and Joe Drage locking down the half back line. Mitch Napier returned to the line-up to boot four goals, with Danniel Johnson and Josh Little chiming in with three each. Chris Curthoys returned from a knee injury for the Tigers to boot two goals and be amongst their best players but, like his team, he was underdone and couldn’t keep pace with the Saints. Doug Perich was the other multiple goal kicker with two, with Shannon Connor, Sam John, and Callan Obst being the key contributors around the ground. Grafton trail Port Macquarie by four wins on the ladder but can exert some pressure if they can keep a settled line-up and further build their cohesion.